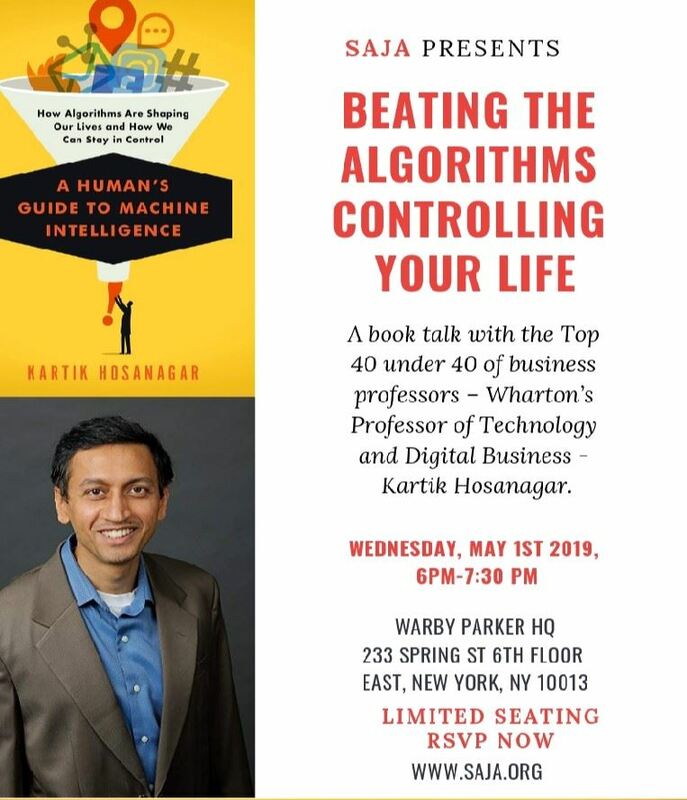 A book talk with the Top 40 under 40 of business professors – Wharton’s Professor of Technology and Digital Business - Kartik Hosanagar. · It’s an arms race for your data and his book shows us how algorithms and Artificial Intelligence run our lives now – and what we can do to control it. · Kartik puts algorithms and AI in human terms and common experiences. That includes how algorithms and AI work, why they occasionally go rogue, what drives our trust in them, and the ramifications of the decisions they make.